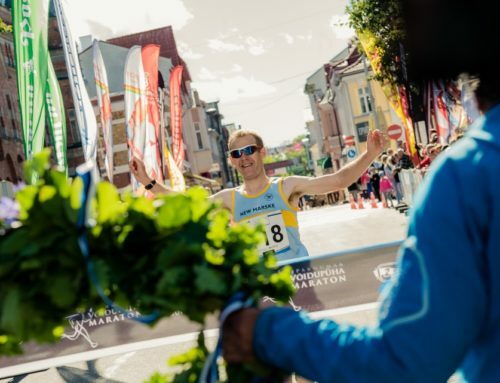 The unique Marathon the Republic of Estonia 100, special event of Pärnu County Victory Day Marathon, was won by Jonathan Rosenbrier from Great Britain and Kaidi Keir Kukk from Pärnu County. 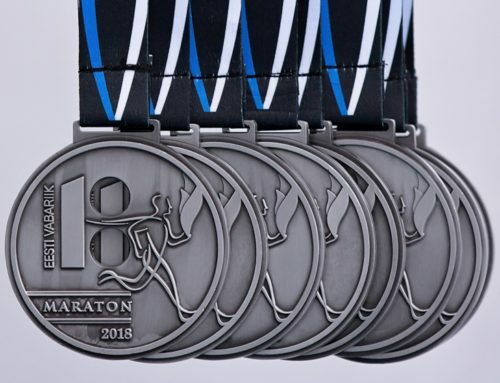 On Friday June 22nd the Marathon the Republic of Estonia 100, despite the stormy weather conditions, brought together in a total of 840 participants in different age groups. In addition there were ca 130 virtual marathon participants who completed either a half marathon or a marathon at favourable place and time. 241 runners started the marathon from Tori, in front of Estonian Soldiers Memorial Church, and 416 participants completed the half marathon distance. Drako’s children’s races held on Rüütli Square in Pärnu, put 183 small runners to their test. The unique wandering trophy given out by the Estonian Society of Soldiers in Pärnu County was reunited with Jonathan Rosenbrier, last year’s winner of Pärnu County Victory Day Marathon, who spent 2 hours, 37 minutes and 6 seconds to complete the marathon. 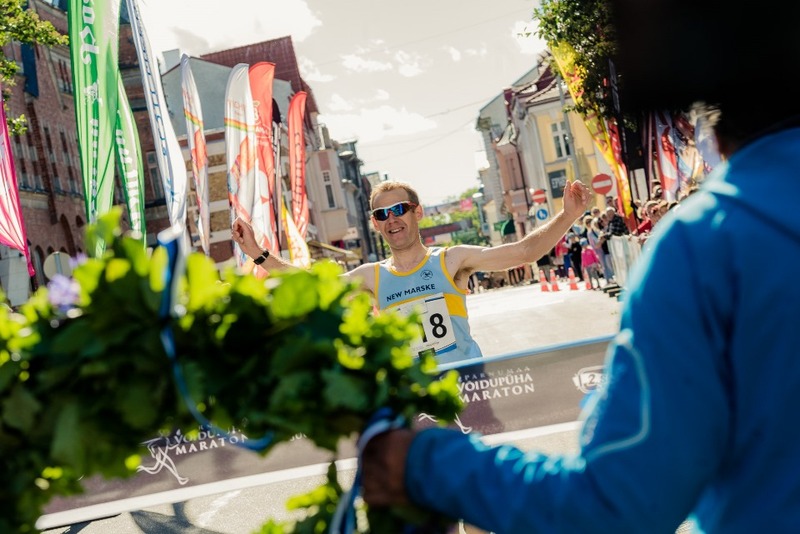 Indrek Ilumäe, on third place last year, finished second with time 2:41.43. Ranno Erala finished third with time 2:44.33. Kaidi Keir Kukk (3:26.57) won with an overwhelming result among women. The second time 3:32.40 belongs to Kadri Raudvere from University of Tartu Academic Sports Club and the third was last year’s winner Klarika Kuusk with time 3:36.51. „When I thought that last year the wind was very strong, then this year we ran up against a wall. We worked efficiently in the small group, but the last 12 kilometres I had to run alone. I would like to thank the men with whom we ran more than half of the route together,” said Rosenbrier, who broke the current track record. The winner among men on half-marathon distance, which started at the Reiu Holiday Center, was determined by the last meters. In the exciting duel between Martin Tarkpea and Vahur Mäe, 15 years younger Mäe became winner with 1:17.23. 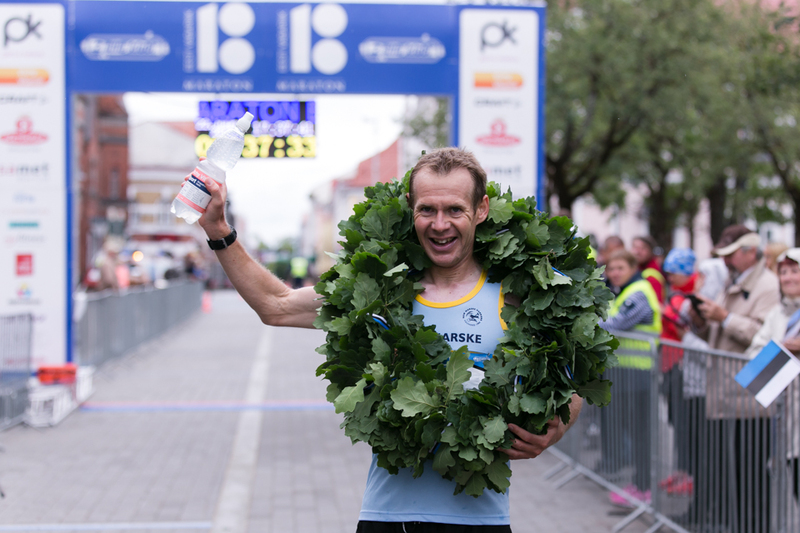 Tarkpea finished just behind with 1:17.25 and the third finisher Jürgen Külm with 1:17.39. The fastest among women was Katarina Skräddar from Finland with time 1:19.18. Õnne-Liina Jakobson (1:31.43) won the second place and Kristiina Nurk (1:32.16) was the third. At the same time with marathon starting shot the memorial flame lit in Estonian Soldiers Memorial Church was brought by relay runners to Rüütli Square in Pärnu. The flame was greeted by the members of The General Johan Laindoner Society, headed by Trivimi Velliste, and sent forth to the Victory Day Parade in Tallinn. 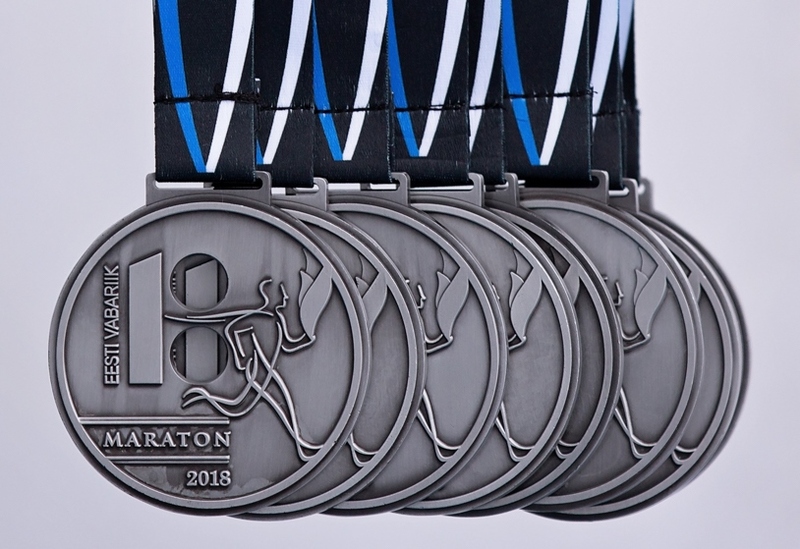 The results of Marathon the Republic of Estonia 100 are found on the webpage. Pärnu Two Bridges Club would like to thank all of our participants, volunteers, sponsors and partners. Looking forward to seeing you on Jüri Jaanson’s Two Bridges Race on September 2nd!